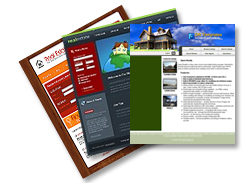 Whether you have recently purchased a pre-made design from Template Monster or any other website, you may want a professional looking design for your Open Realty. We are here to help. A typical customization turnaround time is 3-7 days for a completed Open Realty UK customized template project, however this may be longer or shorter depending on project volume, and the number of modifications that you require. We are not responsible for delays related to identity verification, volume, or the like.